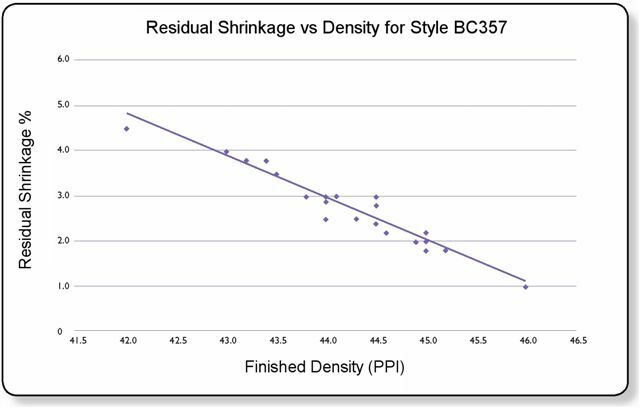 The graph at left shows the correlation determined from the fabric density (PPI) and laboratory wash tests for Style BC357. In this example, finishing Style BC357 to 44 PPI will yield a residual shrinkage of approximately 3%. With this information, it may be possible to reduce the number of wash test required to check residual shrinkage. In this case, the additional benefit is a reduction of water and energy usage and lower operating costs.